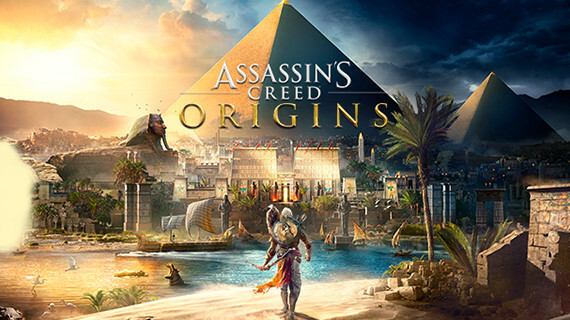 As with every mainline entry into the Assassin’s Creed series, Assassin’s Creed Origins takes us to a new time period, introducing us to a fresh cast, new necks to stab, and all-new mysteries to uncover. Taking us back to the start, where the Creed was formed, this time we trek across the sands of Ancient Egypt. But what’s the story all about? Who are the major players? Read on to find out. In this prequel we take on the role of Bayek of Siwa, the last of the Medjay, an Ancient Egyptian military order governed by the Pharaoh. The Medjay word is essentially that of the gods, since the Pharaoh are the gods made flesh. However, the Medjay are losing their relevance as we join Bayek as he tries to find his place in the world in his mid thirties. He’s considered a hero in his hometown, but some see him as a relic of a bygone age. Bayek will be joined on his adventure at certain points by his wife, Aya of Alexandria, who will be playable for specific sections. Being an Assassin’s Creed game, of course, some familiar faces from history will also make an appearance. There’s Cleopatra, Julius Caesar, and Pharaoh and Boy King Ptolemy XIII, the king who exiled Cleopatra. Expect plenty of political intrigue as Ubisoft’s series twists history to suit its ancient alien narrative. The time period the game takes place in - the transitory period between the Macedonian Empire and the Ptolemaic Kingdom, around 300 BC - is when the Egyptian Empire fell, so expect it to all end in disaster. It’s a civilisation on the brink of drastic change, and Bayek is a personification of that change. The Romans are advancing, the Pharaohs are becoming less relevant, and society is on a knife-edge. Replacing the Templars as the series’ big bad guys is The Order of the Ancients, a faceless organisation that controls things from the shadows. You know, like the Templars. Alongside this, there will be another narrative set in the present day, detailing the ongoing conflict between the Assassins and the Templars, though little is known about this. Check out our article on Assassin’s Creed Origins’ DLC to see where the story is likely to go in the future. Assassin’s Creed Origins is taking us back to where it all began, with the birth of the Creed in Ancient Egypt. With Assassin's Creed Origins out soon we’ve put together a little primer so you can decide which version of the game is the best choice for your needs. Assassin’s Creed Origins will, for the first time, show us the birth of the Creed. The golden sands of Egypt will be bathed in the blood of your enemies as you carve through this ancient landscape.